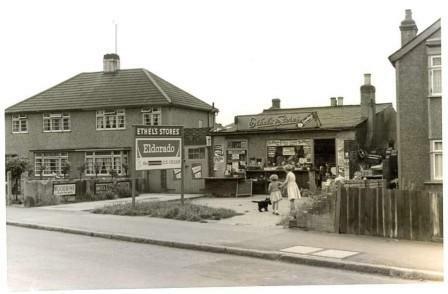 Ethel’s Stores at 116 Blackfen Road sold everything from Eldorado Ice-cream to Ty-phoo Tea, and from coal to Woodbine cigarettes. Previously on this site was Sinclair’s which sold teas and snacks for those first incomers of the 1920s who camped while building their new homes. In the late 1960s Frank Corbett opened a hardware store here. Continuing the theme of home improvements, Kitchen Concepts has been on the site since 1997. 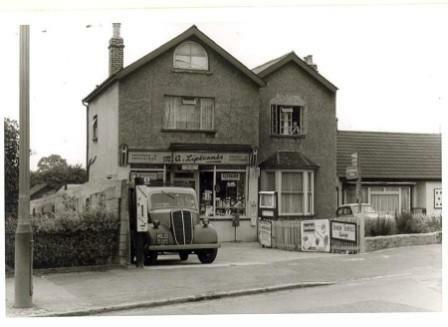 Miss Reynolds opened a lock-up shop at 108 Blackfen Road in 1925 selling groceries to the people erecting their own cottages. 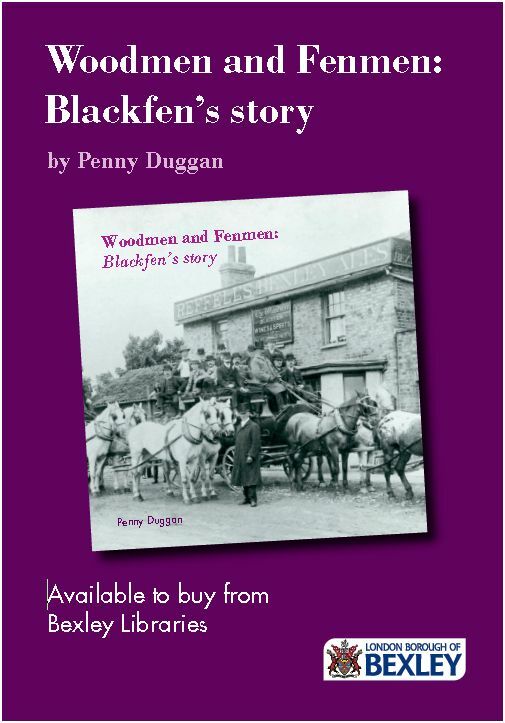 It became the first Blackfen Post Office in 1927 and in 1932 a permanent shop was erected. She even started the first newspaper round. It suffered bomb damage in the war and was rebuilt in 1947. Miss Reynolds also took over the Woodlands Post Office at 227 Blackfen Road. The property at 108 is now named ‘The Old Post Office’. 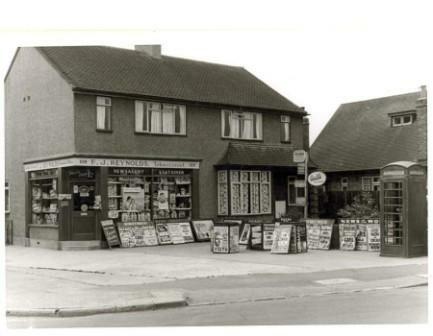 Some enterprising people opened shops in their own front rooms – there were grocers, hairdressers and sweet shops. Do you remember any of these? M. A. Lipscombe sold groceries and tobacco. The building still stands but has reverted to a home once more. 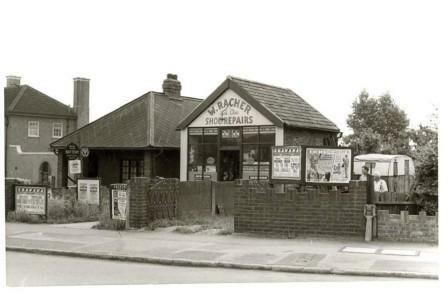 Wally Racher established himself as a shoe-repairer in 1938 and was still there in 1966 (near The Jolly Fenman). As well as repairing shoes, he was also known to help children cross the road on the way to and from school. 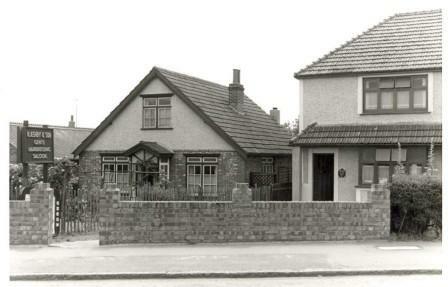 H. Ashby Gents Hairdressing Salon had been at 44 Blackfen Road since 1933 and was still there in 1966. Did you use these shops? Do you remember the shop-keepers?